Acupuncture has been used for more than 2,500 years. It decreases inflammation and increases blood flow, which helps alleviate chronic pain of all kinds: headaches, joint pain, muscle pain, and more. Experience relief without the side effects of treatments like surgery and prescription medications. Traditional acupuncture utilizes tiny needles to access distinct points on the body to restore balance, alleviate pain, reduce stress and anxiety, enhance sleep, treat disease, and improve overall well-being. Traditional acupuncture treats the whole person. And sometimes you just need a time out without distractions. Our Zen-inspired atmosphere promotes deep relaxation while enhancing your mood and improving sleep. Acupuncture stimulates local blood flow, normalizes the nervous system, improves emotional well-being (effects endorphins, serotonin, and dopamine), and lessens pain sensitivity. Traditional acupuncture allows us to access full-body health without the removal of any clothing. We’ll pinpoint and effectively treat your concerns via specific points on your head, face, arms, hands, lower legs and feet all while you relax and take a breather from today’s stressors. Life is stressful… let us help. Traditional acupuncture treats the whole body from head to toe. In addition to its wide-spread use in private clinics, acupuncture is also used in many conventional medical institutions, including hospitals, doctor’s offices, and non-profits around the world. Acupuncture in hospitals. It is estimated that over 100 million Americans suffer from chronic pain (pain lasting for more than three months) with low back, mid back, upper back, hip, shoulder, knee, elbow and joint pain being the most common complaints. Studies have shown that acupuncture helps alleviate chronic pain and it comes without the side effects of more common treatments like surgery and prescription medications. 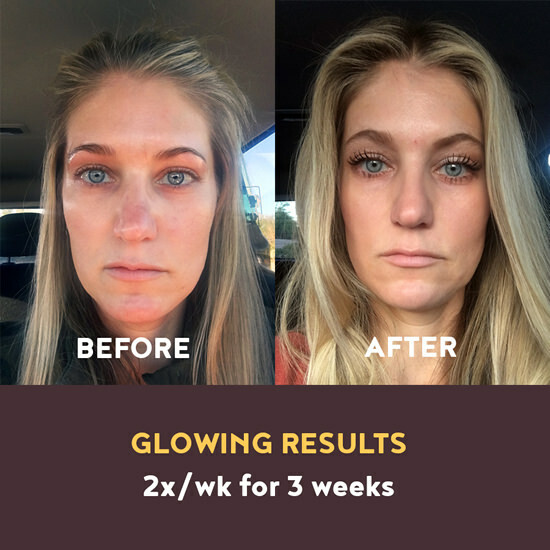 The process increases blood flow and triggers the release of the body’s internal chemicals such as endorphins and enkephalins, which have pain-relieving properties. Acupuncture can help manage chronic pain and related disability associated with back pain, fibromyalgia, osteoarthritis, neck pain, and severe headaches or migraines. The Archives of Internal Medicine has documented research compiled by international experts spanning 29 studies and 18,000 participants. The results of these controlled studies concluded that acupuncture relieved common forms of pain up to 50%. In addition, there is less risk associated with acupuncture treatments compared to prescription medications. Acupuncture has been proven to accelerate the healing of several types of sports injuries such as sprains, strains and spasms. It relieves pain, decreases inflammation, and increases blood flow resulting in quicker recovery and enhanced performance. Insomnia and depression are often linked and can be a result of chronic stress. The WHO estimates that more than 300 million people worldwide suffer from depression. It’s also the world’s leading cause of disability. Acupuncture treatment is associated with an increase in the level of neurobiologically active substances, such as endorphins and enkephalins. There are also data indicating that acupuncture induces the release of norepinephrine, serotonin, and dopamine. In addition, a meta-analysis of research regarding the use of acupuncture for insomnia indicates that it is an effective treatment method. Additionally, acupuncture is a holistic medicine, treating not only the symptoms but also the primary cause without medication. Acupuncture is widely recognized as an effective treatment for many digestive ailments including nausea, vomiting, heartburn and stomach pain. Preliminary studies show that it may also be an option for treating chronic constipation, diarrhea, irritable bowel syndrome and Crohn’s disease. Acupuncture works by rebalancing the endocrine system and assists the body in optimizing digestion. Both the National Institutes of Health (NIH) and the World Health Organization (WHO) support Acupuncture in the treatment of various digestive disorders based on Randomized Controlled Trials. 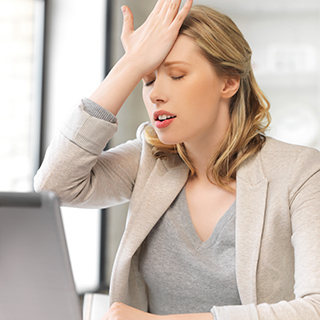 Stress has become part of everyday life and when unchecked it can lead to more serious concerns. Anxiety disorders are one of the most common mental health conditions in the United States. It’s estimated that 40 million adults ages 18 and older, or 18 percent of the country’s population, have an anxiety disorder. Acupuncture has been proven to reduce stress, preventing the onset of several chronic conditions including anxiety, head and neck pain, weight gain, and insomnia. Acupuncture provides a safe and effective option for those seeking a natural approach to the treatment of stress and anxiety related symptoms. Studies have shown that acupuncture decreases the symptoms of seasonal allergies such as a runny nose, sneezing, and itchy and watering eyes. Many patients report relief during their first visit, and ongoing treatments enhance the benefits and keep symptoms at bay. NCBI – National Institutes of Health. The Journal of the American Medical Association recently published a study showing that acupuncture helped reduce the frequency of migraines in participants who were chronic sufferers. Acupuncture offers a more natural approach to migraines and headaches without the side effects that often accompany medication. Acupuncture promotes deep relaxation by activating the body’s parasympathetic nervous system or “rest, digest and recover” functions. Reaching this state is essential to restoring and maintaining health. That is why regular acupuncture (at least 2x/month) is always recommended. We believe that acupuncture should be a convenient and approachable part of everyday life. There are 28 diseases, symptoms, or condition recognized by the World Health Organization that acupuncture effectively treats and more than 60 additional conditions are currently being studied. Acupuncture is proven to help those suffering from diabetes, insomnia, chronic pain, PTSD, stress and many other conditions that can negatively affect your ability to live life to its fullest. There have even been examples of acupuncture making cancer treatments more effective. There’s no age limit, no drugs, no expensive testing. This type of care should be available in a much more accessible manner – and now it is. 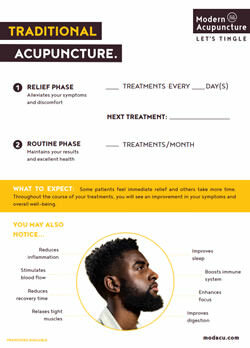 Your acupuncturist will create a treatment plan specifically for you based on your consultation. It is important to follow your treatment plan to achieve the best results. Just like any health and wellness routine – the key is consistency. We think you will enjoy the experience so much it will be easy to keep coming back. And your health will thank you. Are There Any Side Effects? Side effects are minimal but may include fatigue, slight bruising, tenderness at needle site, lightheadedness, temporary worsening of symptoms, and emotional release. Who is a Candidate for Traditional Acupuncture? 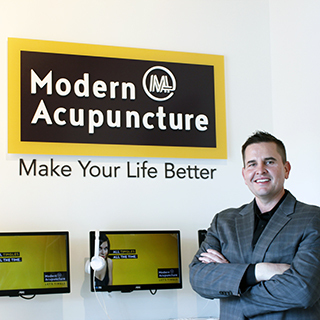 Our licensed acupuncturist will meet with you prior to your first treatment to ensure you are a suitable candidate for traditional acupuncture, but most men and women looking for a natural approach to healing and overall wellness are candidates for traditional acupuncture. Those who are not eligible for traditional acupuncture include those with hemophilia or contagious skin diseases. We take special precautions when working with those on blood-thinning medication or tend to bruise easily. 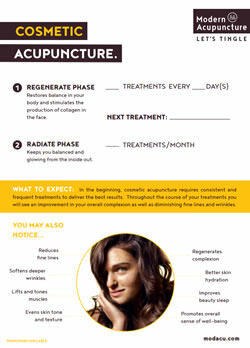 Cosmetic acupuncture uses the body's own healing mechanisms to stimulate the production of collagen. 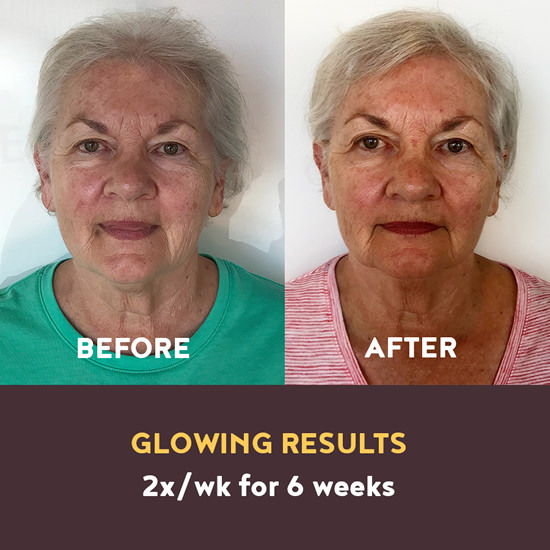 With regular treatments, this natural "filler" often makes fine lines diminish or disappear completely. 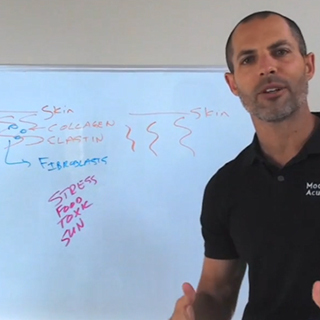 Chad Meisinger shares why he chooses acupuncture for relief of pain.